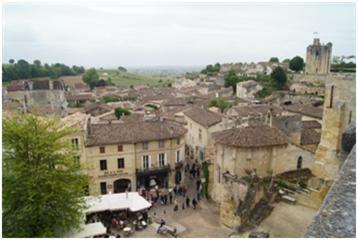 We had a great lunch in the medieval town of St Emilion and we spent some time wandering the cobblestone streets and poking our heads into a variety of shops and wine stores with a couple of tastings along the way. We just have to come back and spend a week or two in this area. 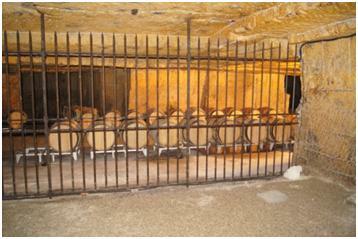 Day 2 in Bordeaux was very relaxed. Today, it did rain a bit but it did not prevent us from walking on the riverfront where we did some shopping and then through the old part of town, where we enjoyed the sights and bustle of a Saturday shopping day. Due to the rain, we didn’t rent the bikes which we did the last time we were here and thoroughly enjoyed. 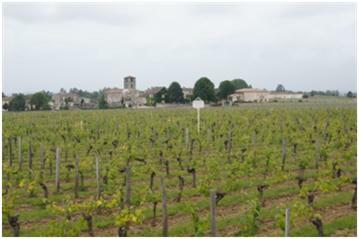 Instead of meeting our group in the dining room for dinner, we first met at one of the couple’s stateroom for appetizers and to sample some of the wine we bought in St Emilion. They are in a penthouse suite, so we had lots of room and they had arranged for some great appetizers for us. 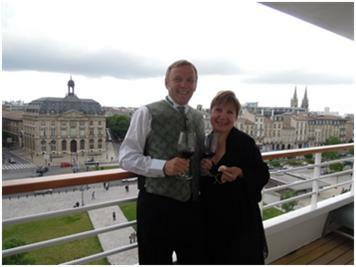 As we cast off to leave Bordeaux, it was fun and somewhat fitting that we toasted to our time here with some nice Bordeaux wines, some wonderful food and some great friends that we have met on board. 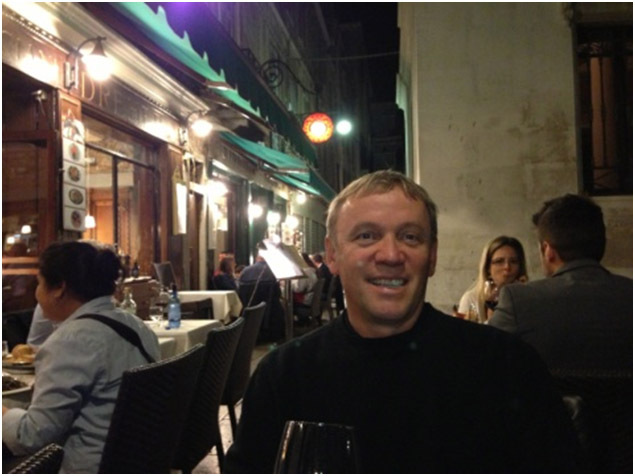 Enjoying fine wine in Bordeaux! 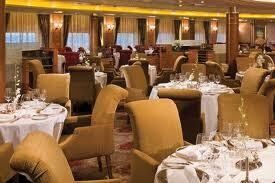 So, my recommendation for those that cruise, would be to try a larger table for dinner and meet some new people. 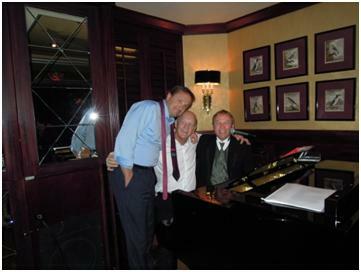 We usually request a table for 6 or 8 and we have met some wonderful people over the years. 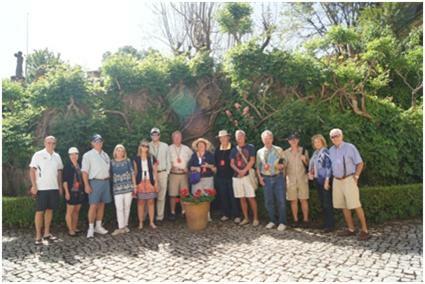 I know the cruise lines try very hard to match at least age groups and it is wonderful to make new friends. After our day in Lisbon, we set sail for a new port for us, Oporto in Portugal. 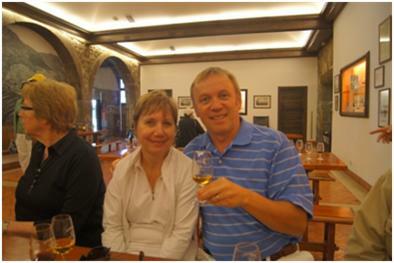 This is the centre where Port wine is produced and our tour today took us to one of the many different Port houses…Ferriera. Not one that I have personally heard of before but very enjoyable tour and a nice tasting after. 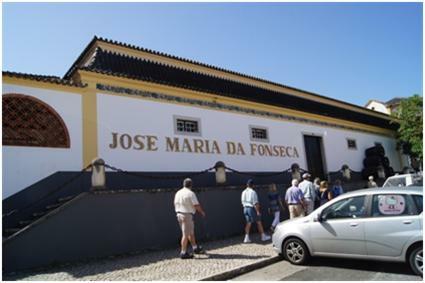 As many of you know, I love Port and so bought a bottle of 2007 Vintage Port here. Unfortunately, I will lay it down in the wine cellar for as long as I possibly can but at least 5 – 10 years before enjoying it. 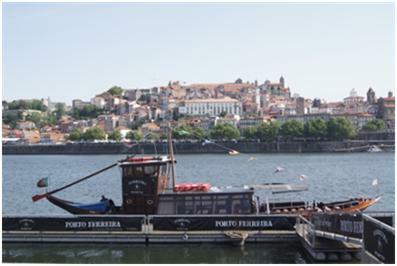 From the Port House of Ferriera we boarded a boat and had a wonderful water tour of Oporto from the Douro River. It was a very hot day so being on the water and seeing the city from the river was a very nice way to do it. 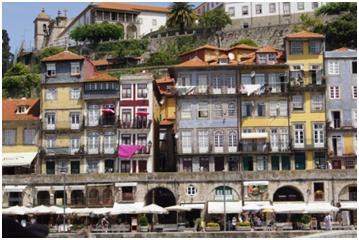 It seems very evident that Portugal is suffering economically and Oporto seems to have been hit quite hard with many empty buildings and quite a few of them are in disrepair. 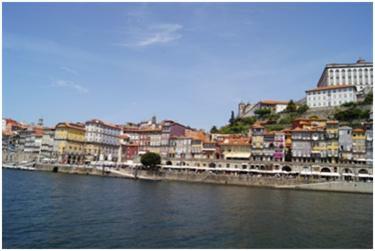 None the less, we enjoyed Oporto a great deal and would love to have had more time exploring it. 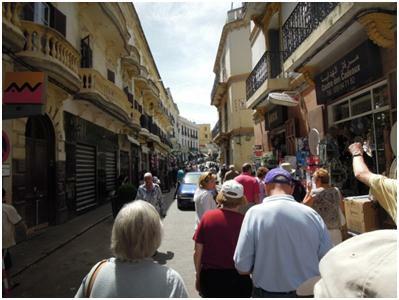 We did not take the tour bus back to the ship but instead opted to wander the old part of the city. 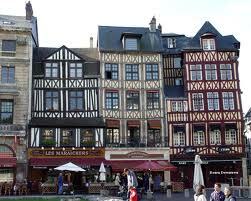 They have some spectacular old buildings and the shopping was very affordable. And yes, I did manage to buy another bottle of Port…my suitcase is going to be much heavier coming home and another new suitcase may be in the cards before we leave to come home. So we have been to a few ports of call since my last blog…Valencia, a day at sea, Malaga and finally yesterday, Tangiers. 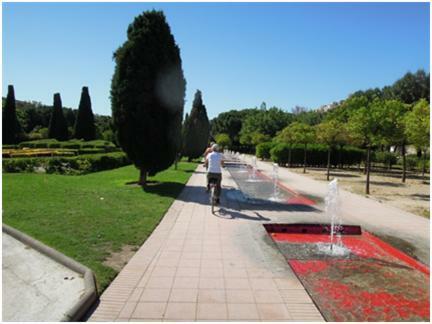 We did a bicycle tour in Valencia and thoroughly enjoyed it. The city has many bike lanes, even through the old part of the city and the pace was very manageable. A couple of pictures appear below. There was a river running through the centre of the city but because of bad flooding they diverted the river and made the old riverbed into a beautiful park where we spent much of our bike ride going through. While the old city is of course very historic and beautiful with its old city gates and wonderful cathedral, what was really refreshing was their City of Arts and Sciences, a very futuristic centre with great modern architecture. 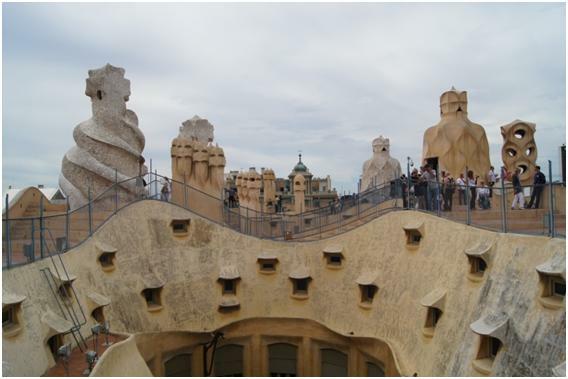 It truly reminded us of the Sydney Opera House area. 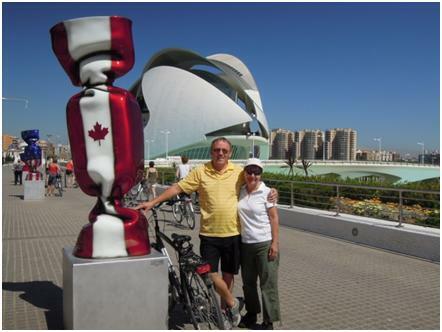 Us at the City of Arts and Sciences – never far from Canadian red and white! During our first day at sea, we held office hours for our group if they had any questions and also hosted a cocktail reception for our group to get to know each other. It was a quiet day and the weather has been cooperating marvelously. We had requested a table of 8 at our dinner seating but only the 6 of us have shown up so we are requesting they change the table setting and size for the 6 of us. We have GREAT table mates, a couple from Victoria, BC of all places and a couple from just outside Washington, DC and we all get along marvelously to the point we have been getting together after dinner and have had a night of partying! The entertainment last night was a great singer who has played in the London performances of CATS, Evita and many more. She was excellent and a high point of the entertainment so far, although I must admit the comedian the night before had us in stitches too. After the relaxing day at sea, we arrive in Malaga, Spain. Karen and I have been here before so we spent most of the day on board ship. We did decide to go into town but because it was Sunday and at their siesta time, most of the shops were closed. We walked around the Cathedral and the old town and headed back to the ship through a very lovely park. Yesterday, we spent the morning in Tangiers, Morocco. Having never been to Morocco, I only had visions of an exotic port of call with a massive central market full of goods that you bargain hard for under flowing tented stalls. I expected bearded old men smoking hookas/water pipes drinking sweet teas and an aura of mystery around it. I expected too much. What we found was an interesting area that seems very run down but to their credit there is a lot of construction and restoration. The people were very friendly and there were a large number of people trying to sell us various wares as we walked through the Medina and Kasbah areas. 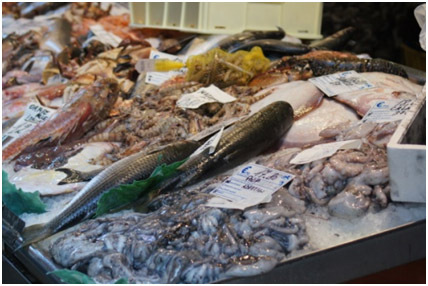 I was disappointed in the market particularly as we were herded into a commercialized store where we knew the guides were getting their kickbacks. We did buy a couple of things as souvenirs. The best part was the stopping for some sweet tea and pastries in a traditional style of restaurant although they did try to stuff 4 or 5 busloads of people into the place. 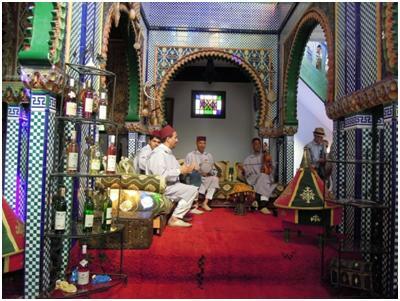 I am happy we had the chance to visit Tangiers but next time, I think I will skip the organized tour. It does make me want to visit Casablanca at some time though. 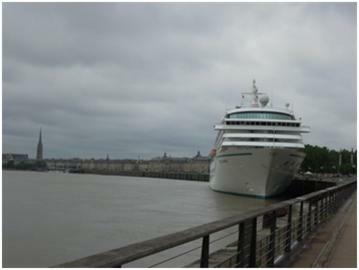 Our first day on board the Crystal Symphony was like reacquainting ourselves with an old friend. We cruised with her through the Panama Canal a year and a half ago and even many of the staff are still the same. Having said that, we still have to remember where everything is and how to get to all the rooms. We are Concierge Hosts on board with a group of about 30 people, so our first couple of days have been arranging for a cocktail reception, meeting the ship’s staff, printing our letters for all our guests and calling them individually to introduce ourselves and the services we will be offering. Despite all that, we have met the people we will be dining with this cruise (we chose a table of 8 and a main seat dining option of 6PM so we will be dining with the same people for the entire cruise) and although the two nights there have only been the 6 of us, we seem to have hit off well. One couple is from Victoria, BC of all places and the other couple is from Washington, DC. 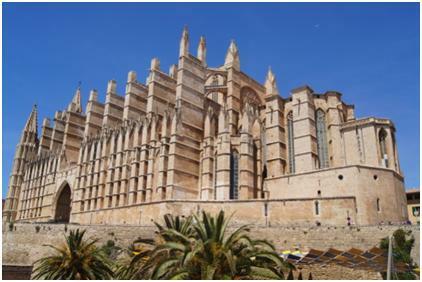 We spent most of the day at Palma de Mallorca on Mallorca Island (part of the Baleric Islands) off Spain today and it was a fantastic day for warm temperatures and sunshine. 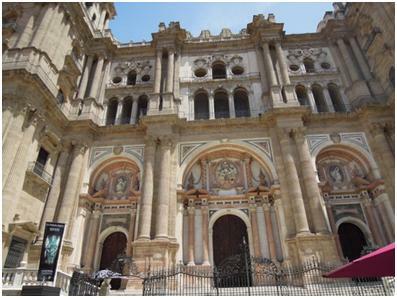 We didn’t do much there other than visit the incredible Cathedral (see pictures below) and walk around the old town. Some interesting shopping as well. Mallorica is well known for their pearls. We have a daughter getting married this summer and some pearls would look fantastic with her wedding dress, so Megan, I hope you like them! 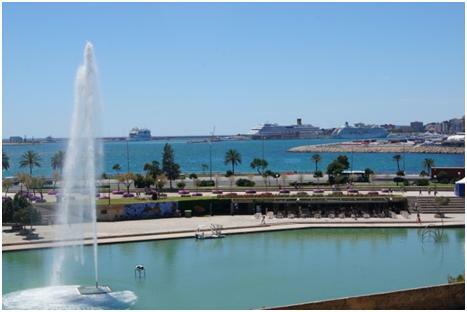 Lovely fountain and to the right is our ship – the Crystal Symphony! After dinner, it is time for the on-board entertainment which was just OK tonight. I think things will improve during the cruise, although the guy in the piano bar was awesome and could play and sing just about anything you could throw at him. Life at sea is fantastic…highly recommend it to everyone! We have spent the last couple of days greatly enjoying the wonderful city of Barcelona. Although we have been here three or four times before, every time we come we remark how much we like the city and all it has to offer. 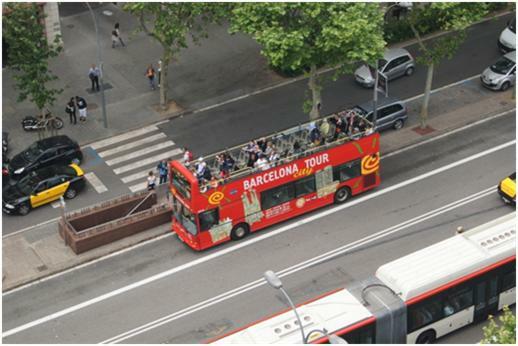 This time we are seeing the city via the Hop On/Hop Off city bus tours. 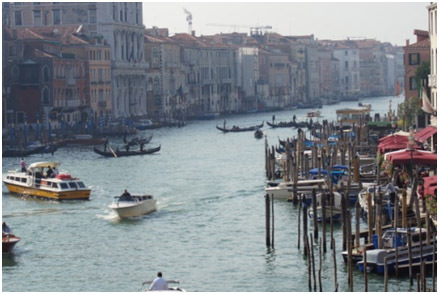 It’s a great way to travel around the city seeing the sights and the price is fairly reasonable – 30 Euro each for a two day pass. 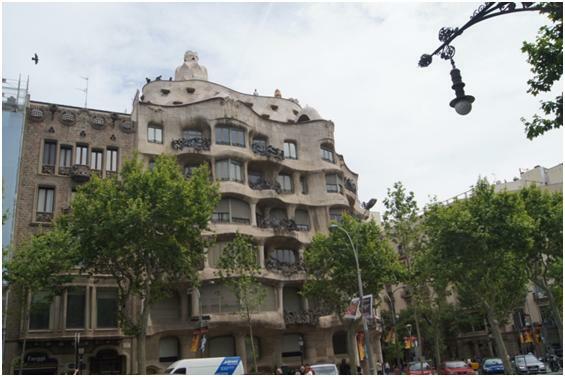 In addition, we have stopped at another building of Gaudi’s (I guess we are fans)…it’s an apartment style building. A couple of pictures appear below. On another note, the food and wine has been spectacular and reasonably priced. Dinner for the two of us last night was under 40 Euros including a very reasonable bottle of wine (only 12 Euro J). 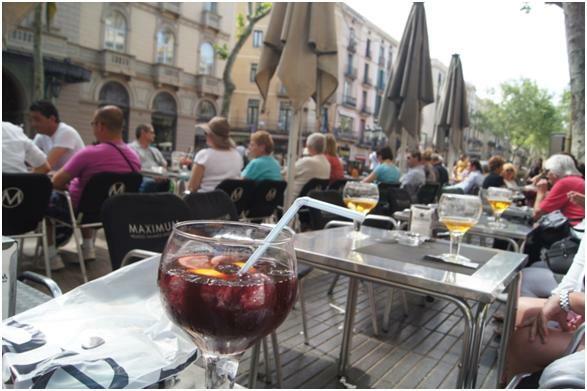 There are so many restaurants, cafes, bars and outdoor eateries; you can hardly decide where to go! At the cafe – what a view! We will be getting onboard the Crystal Symphony today to start our 12 day Mediterranean Cruise featuring many ports in Spain, Portugal and France…watch for some highlights soon.